Raw food ingredients should be cooked before they are eaten. But did you know that it turns out how to cook also have rules which are good and bad. As quoted from Asia One, Monday (23/4/2018), this is a mistake cooking that often occurs when processing food. 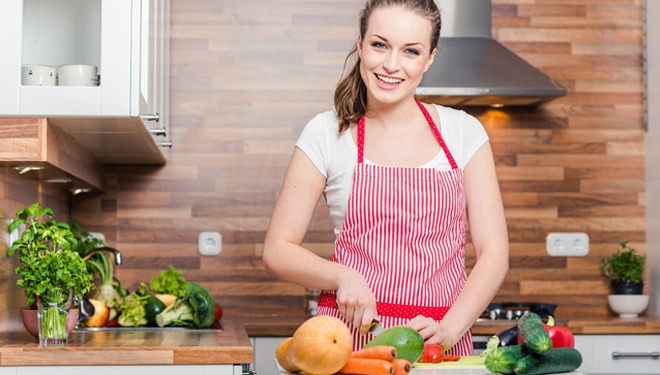 Cooking vegetables for too long can eliminate the nutrients in vegetables. Not only can eliminate most of the nutrients, but also make the vegetables uncomfortable again in the meal. Do not be too long boil until soft, discolored or even destroyed. Using too much spice in cooking such as salt sowing, chicken stock, and soy sauce in one dish can make it into a sodium field, which can raise blood pressure and thicken the blood. Too much sodium that enters the body can also bind a lot of water causing fluid accumulation and lead to swelling. Not all cooking oil is made from the same ingredients. Such as olive oil that has a relatively low smoke point, which means after a certain temperature will burn and may release harmful free radicals. This oil can not be heated for too long like vegetable oil or ordinary cooking oil. Conversely, if using oil with high smoke points such as peanut oil, almond oil or sunflower oil. Not all vegetable skin should be peeled, because there are some vegetables that actually have a lot of nutrients in the skin. Potato skins, carrots, pumpkins, cucumbers and apples contain nutrients such as minerals, vitamins and fiber so it is safe to eat at once. Make sure it has been washed clean. There are many pesticides and bacteria in the vegetable skin, it would be better if washed or rubbed clean. An experiment reported in the American Chemical Society even reveals that using baking soda in a water bath to wash vegetables is the best way to get rid of almost any pesticide trace. It’s a big mistake if you mix honey into hot food. Because the hot temperature can destroy the enzyme that is in the honey. This reduces the medicinal properties of honey. Let it first until the temperature of food or drink down new pour honey into it so as not to destroy the healthy content in honey. Using butter or margarine to add flavor will only add calories to the food so it is not healthy. Not to mention trans fats and saturated fats altered when butter and margarine are heated, can be toxic, inhibit the productivity of the circulatory system and trigger many diseases. The use of oil itself is not so good for the body. Using too much oil while cooking can lead to obesity, high cholesterol and other diseases. One tablespoon of oil contains about 100-150 calories, so think again when wanting to use lots of cooking oil, ladies. Now you already know what cooking mistakes you might have also done? Let’s reduce the error from now and cook healthier.